WARNING: Using unapproved materials can result in damage to the machine or unsafe operating conditions. For example, cutting chlorinated plastics such as vinyl and PVC releases hydrogen chloride gas, which corrodes the optics of the machine and gasses are toxic. Other materials, such as many metals, reflect the laser beam and can damage the machine. Materials of unknown origin cannot be used with the laser cutter. If in doubt, do not use it! Note that this chart was copied and the settings are only general suggestions for settings. Contains chlorine; will produce hydrogen chloride gas which is harmful to you and the machine’s optics. Contains chlorine; will produce hydrogen chloride gas which is harmful to you and the machine’s optics. Risk of flash fires. Does not cut. Many plastic stores sell both polycarbonate and acrylic. Maker sure your buying acrylic. Plexiglas is another name for acrylic. Does not cut. Can look very similar to polycarbonate and acrylic. Make sure you know which material you are buying. Will produce hydrogen cyanide gas which is very harmful to you and to the machine’s optics. This type of laser will not cut metals well but can engrave steel or cut very thin (maybe 0.1mm or .004") steel - See [RDWorks Learning Lab 100 Etching Stainless Steel](https://youtu.be/jP9ncWksEGw) for details. Aluminum, Brass, and most other metals are too reflective to mark. If for some reason the cutter reverts to Chinese, here's how to get it back to English. 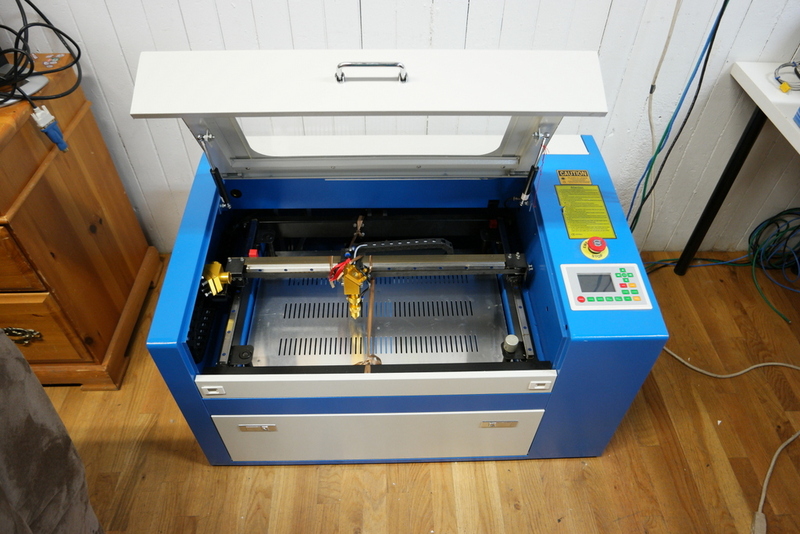 The RDWorks Learning Lab videos use a nearly identical machine and software and have lots of good information about using the laser cutter. Everything you ever wanted to know about firing lasers to cut things.